I’m sure many of us have been there, right? This is part of a sweet collection of drawings and pixel art from Zac Gorman. This artist covers a lot of games in his portfolio as well as other miscellaneous awesomeness including comics and other pop-culture. I was tempted to purchase the StarFox prints, but they’re long sold out..
Oh well, at least the happy pants are slipped back on, as Adelaide’s biggest Anime & Video Games Convention (or AVCon as it’s more commonly known) is on in less than a month! Yup! 22nd – 24th July are the magical dates and information on ticket sales are RIGHT HERE! Now why would Retrospekt be so excited about this year’s AVCon? Well for starters, it’s going to be (measurements-wise) the largest video games event in Australia, IN AUSTRALIA! Not just that, the theme for this year is Retro (not just gaming folks, come on.. don’t forget those ever-awesome EurAnimes we’ve all grown up with on The Afternoon Show on ABC). In addition to that, Retrospekt is heading down for the whole weekend, and we’re going to be hosting not one, but TWO panels (one for each day of the convention), as well as that, we’re teaming up with AVCon to host this year’s Ultimate Gamer tournament! Just like last year’s Panel which was a rip-roaring success; there will be giveaways, raffle and pop quiz prizes and of course hands-on on the games during the panels! 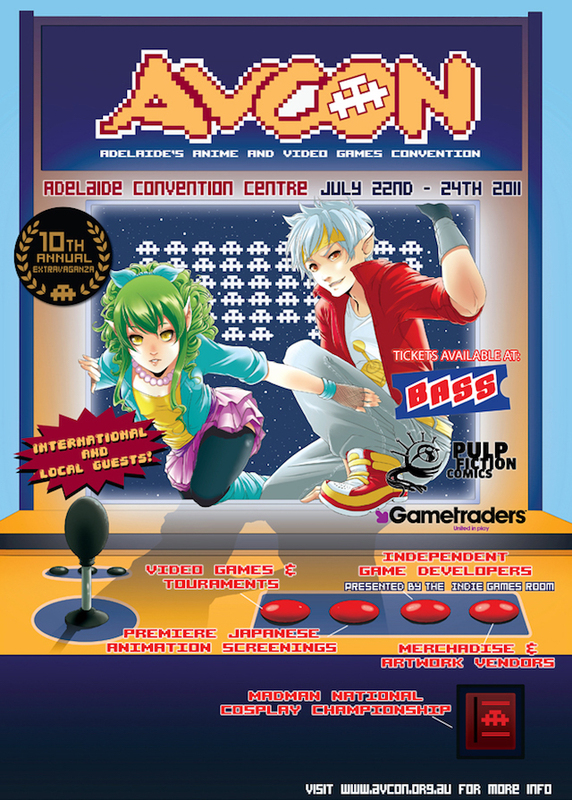 More info coming when we get closer to the date :D In the meantime, head on over to www.avcon.org.au to scope out what’s happening at this year’s AVCon! I was very excited to see this finally get released yesterday. This here my friends is 1-bit Ninja. A new game on iOS resembling Super Mario Land and Paper Mario. I mention those two games, as one thing each comes to my mind when I mention both of those games; The graphics, and being able to move the viewing perspective around to locate secrets. First impressions that I had with it whilst on the bump bus ride home? Frustratingly fun! Controls are simple enough, challenges aplenty, cute music, and overall a gorgeous homage to old-fashioned platform games with challenge overpowering sound and visuals. App Store Link. Oh and it doesn’t end there, this week GOG.com announces the re-release of an underdog graphic adventure Litil Divil, released by Gremlin Interactive back in 1993. The plot of this game, is you play as that red demon in the screenshot above. You’ve been sent on a quest to retrieve mystical treasure of sorts.. well okay it’s the Mystical Pizza of Plenty. Nevertheless, the graphics are gorgeous, and combines adventure and platform gaming smoothly. If you do like a classic graphic adventure from the DOS days, then this is definitely for you! Also this game did come out on the Amiga CD32, and CDi. Is the daytime watch. Be prepared though, as these limited items (when I say limited, I mean 78 of each model were made) chime at US$10,000! And finally, Mario doesn’t give two s**ts really.. Not about the price of those watches, or that it was Sonic’s Birthday yesterday. No.. Mario is invincible, and has a song he’d like to sing about it. WARNING: Language may offend!